Birthdays are celebrated every day, every year! Everyone has a birthday and who doesn't like to receive gifts on their birthday? A perfect opportunity to spread your word of mouth and good will. More guests | MORE Profits! Birthday Parties can range from 3-20 guests per table and the check averages are HUGE compared with everyday dining. 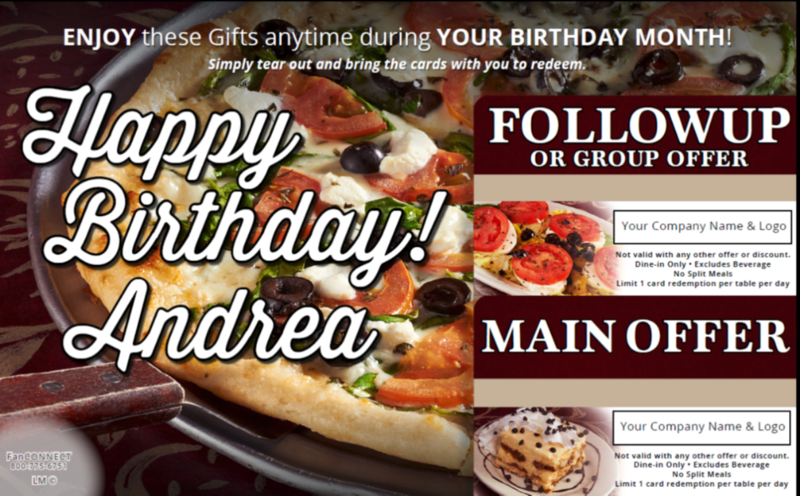 Did you know that 7 out of 10 adults dine out on for birthdays? Making birthday parties the #1 dining event, yet many restaurants don't take advantage of this simple yet very profitable marketing opportunity. 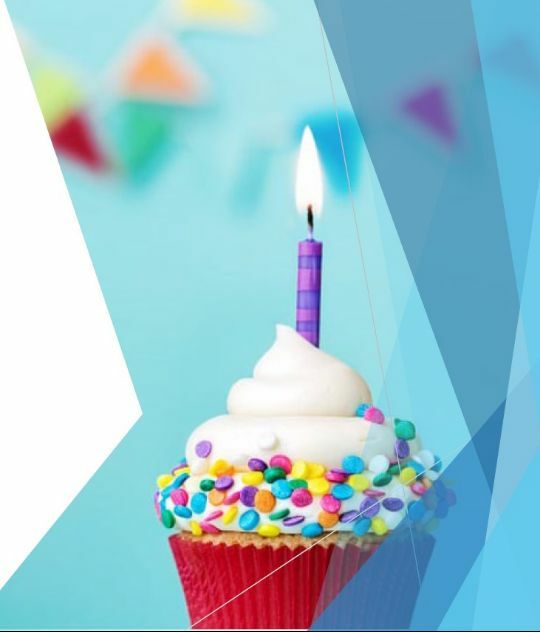 Celebrating birthdays is good for your business, your guests and your employees. Birthdays are celebrated seven days a week, year round—providing you with the opportunity to bring in customers throughout the week and throughout the year. Your business gets new and repeat business with higher cheque averages, Customers are more likely to arrive with a larger party, and to spend more per person. Your wait staff loves birthday parties with higher tip averages. A complete done for you marketing solution that sends Birthday cards to local patrons, gets them to your business with other guest to celebrate, builds a patron list, markets your business every month and provides all the tools and service without you lifting a finger. We mail local patrons within your CORE Demographic a gift from your business on their birthday, bringing in highly profitable birthday parties. We handle it all from the design to the mailer to the data. Access your Birthday Marketing Suite anywhere! Get insights, real-time customer information, marketing analytics, reports and more. 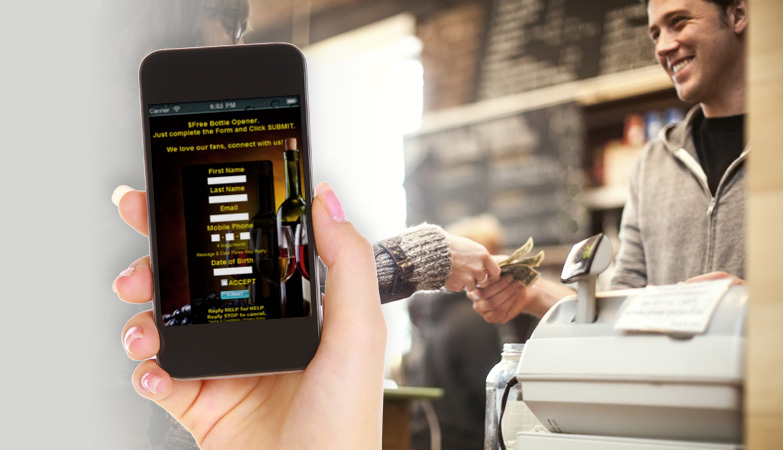 Send email, mobile or rewards offers to your customers. Promotion Center a complete follow up system that Includes 20+ automatons, all the hottest tools like WiFi guest system, Mobile Marketing and Offers, Email Promotions, Loyalty & Rewards, Stored Value and more SAVING YOU THOUSANDS. Our in-house team of experts manage your electronic marketing and promotions so you don't have to. 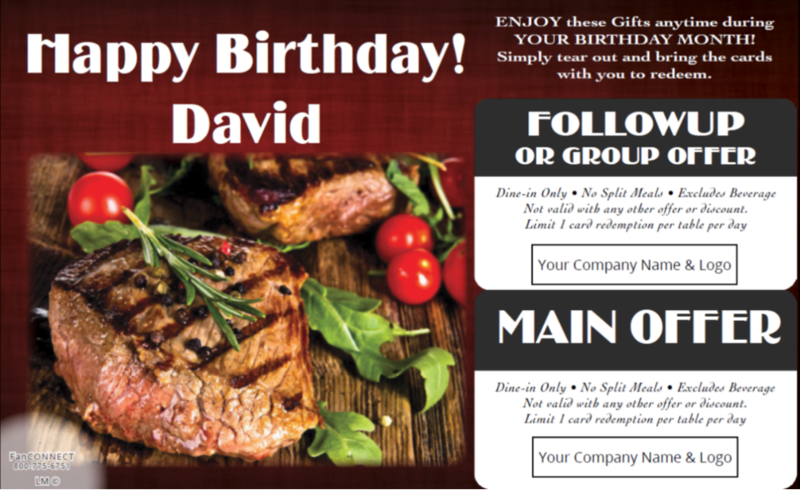 Put our Birthday and Special Occasion marketing solution to work for your business. NEW BIRTHDAY PARTIES EVERY MONTH. 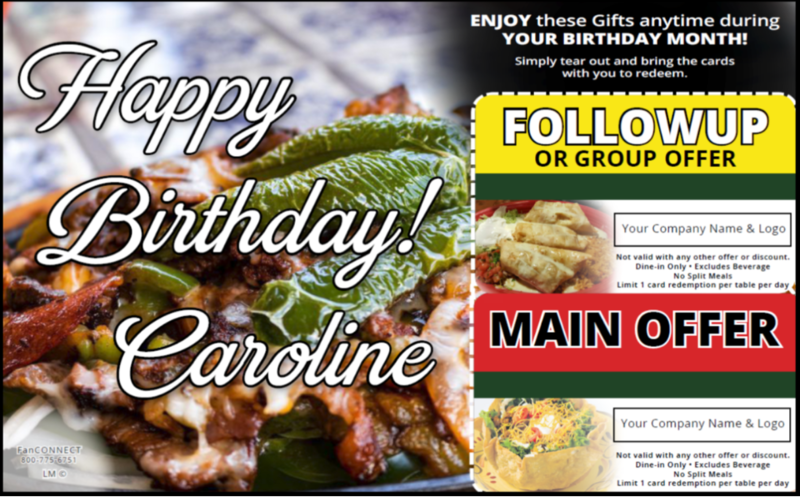 We design and send Birthday Postcards with a Free Meal to locals every month and the Birthday Marketing Suite builds your customer list, sends marketing messages that are relevant and automated, and increases your cash flow - all with one platform. Provides you with access to your customer list, promotions and reports. We manage the campaigns, edit and design your monthly offers and boost your word-of-mouth with refer-a-friend and survey marketing. Birthday Marketing will give you more reliable, predictable, and steady business providing you with more business and helping your staff earn more. Increase your reputation, likes and reviews - A Healthier Business for you. 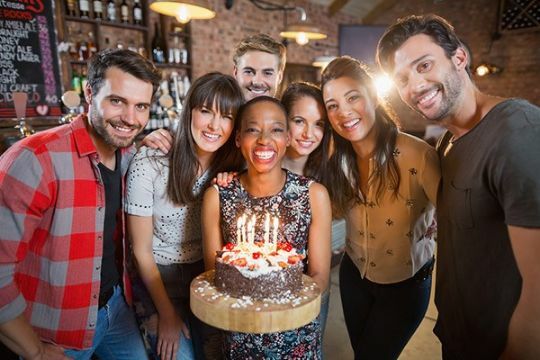 Let FanCONNECT send Birthday Parties to your restaurant and get your current guests signing up to be on your Birthday List with our Birthday Marketing Suite. Turn-Key and Managed For YOU! Why wait to grow your business? Fill out the form to get started. A business coach will call you and get you started.